This is a very pink deck. According to Galasso the Suit of Swords (element air) represents the intellect, communication, conflict and resolution, action, change, force, power, oppression and ambition. And thus she decorated the suit with birds and butterflies. 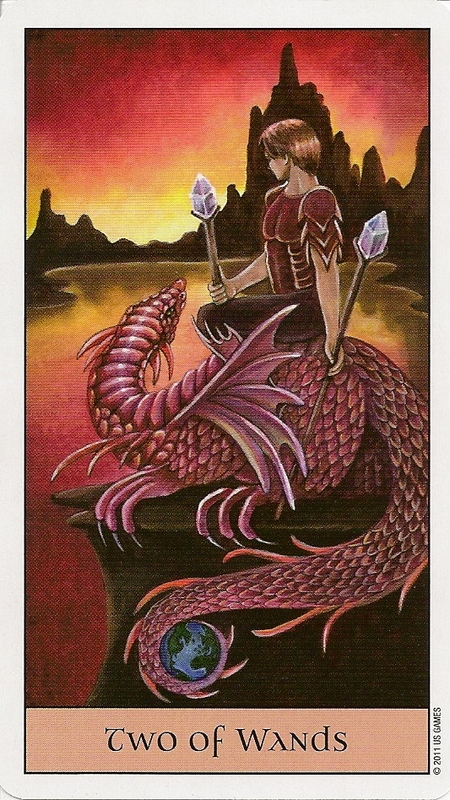 The Suit of Cups (element water) represents emotions, love, connections, the subconscious and relationships. 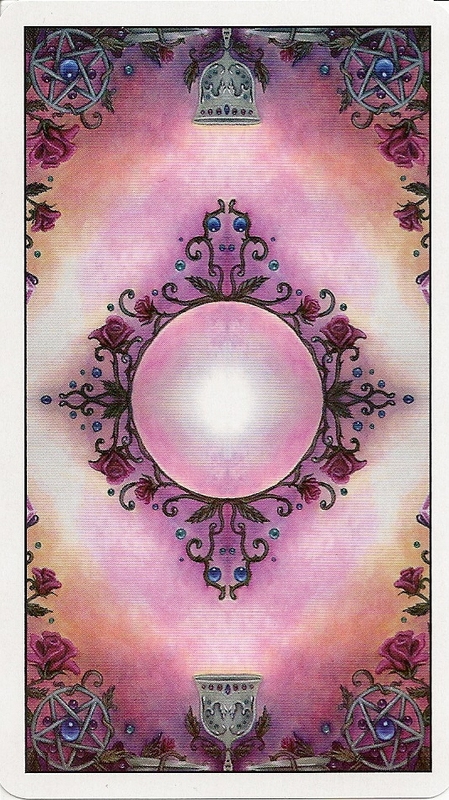 The symbols used in the cards of this suit are different phases of a pink moon, pink water lilies, pink dragonflies, and pink water nymphs. The Suit of Pentacles (element earth) represents money and material things, work, business, trade and prosperity. It was decorated with pink dryads, trees, wildlife and pink crystals. 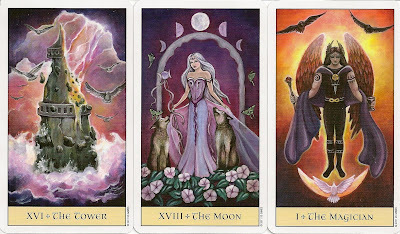 The Suit of Wands (element fire) represents creativity, inspiration, artistic endeavors, primal energy, spirituality, determination, strength, intuition, ambition and courage. The symbols used in the cards of this suit are candles, pink dragons, plush lions, pink unicorns and pink crystal balls.